In yesterday’s article the topic in the East was China. 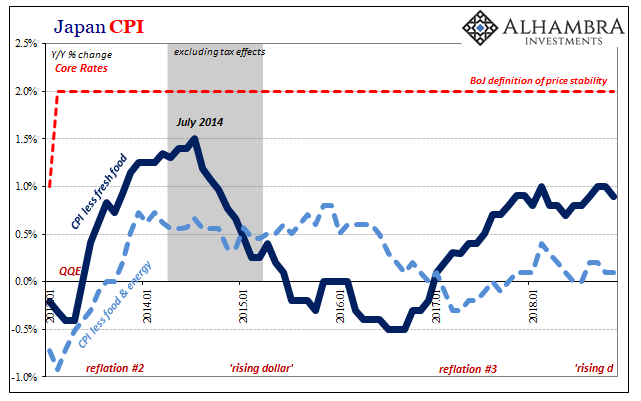 Today, the US CPI confirmed the oily nature of US or European inflation. And in Japan, the Japanese CPI reinforces the role of Eastern food prices. These had spiked up earlier in 2018 which resulted in simultaneous hardship (even more) for the Japanese people and premature celebrations by Economists who don’t factor household conditions into their models. 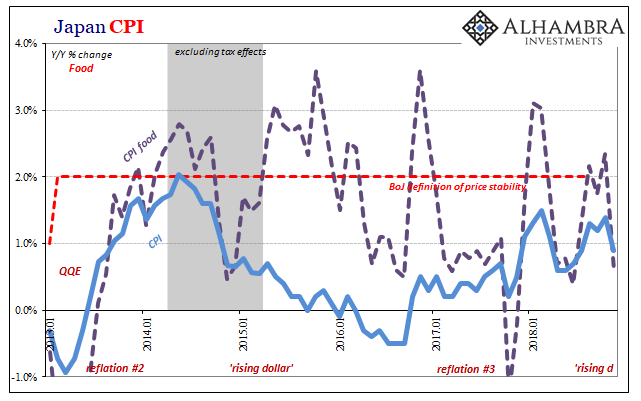 In the orthodox, central banking world higher inflation is to be welcomed even if only because it (seems to) takes the pressure off. 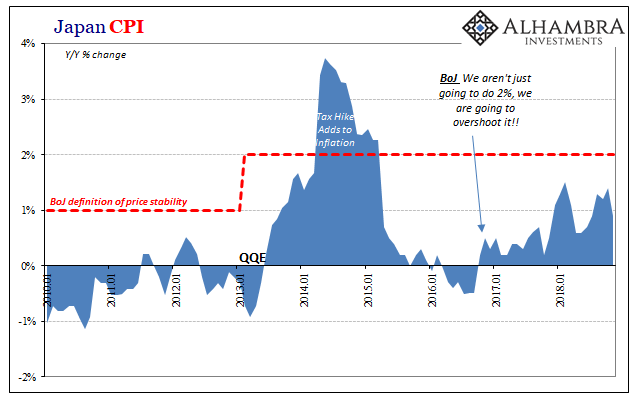 Bank of Japan Governor Haruhiko Kuroda could hardly contain himself – until food prices decelerated sharply at mid-year. Dreams of hitting the 2% target evaporated as vegetables stopped becoming expensive so quickly. The second time, accompanying bad weather, even officials were subdued in their reaction. As fast as volatile food prices spike, it all disappeared just as the last one did this time in November. 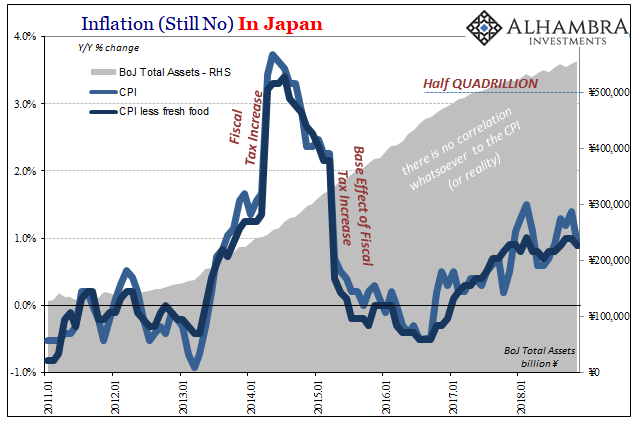 It left headline inflation, the CPI up just 0.9% year-over-year in November 2018, no closer to the official target despite closing in on ¥600 trillion in BoJ assets. If there are detectible rhythms in the Japanese economy they don’t originate in Kuroda’s office conferences. In 2017, there was some general improvement in it, which is why BoJ officials were so quick to crown their perceived success over inflation early on last year.